A styling trick has popped up on the runways and we’re excited to share it with you. 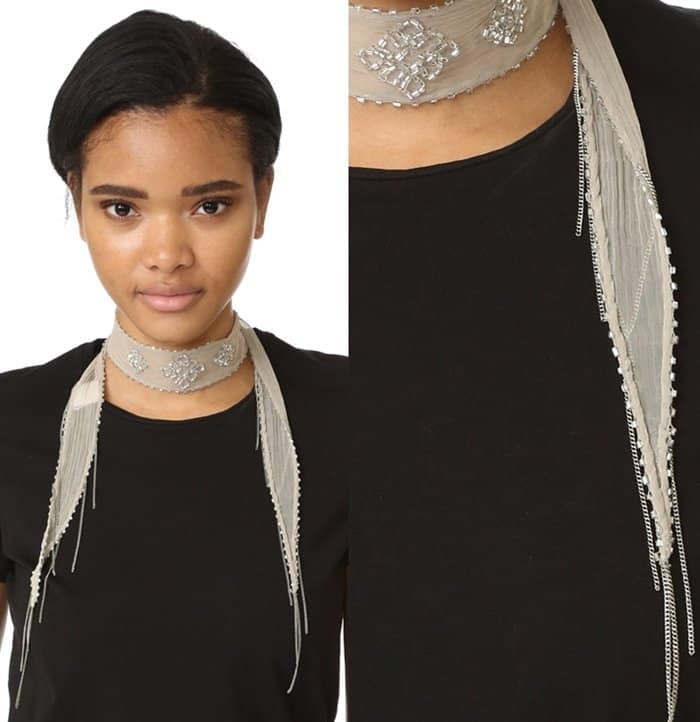 The popularity of the choker has given birth to the scarf choker necklace: A daintier and fresher rendition of the “it” accessory. Pulling off this trend is actually incredibly easy: all you need in a skinny scarf. Pick one with a beautiful and eye-catching fabric, or a piece played up with beaded embellishments or embroidery. Lightweight silk and chiffon are popular fabrics. You can experiment with the knot, too. 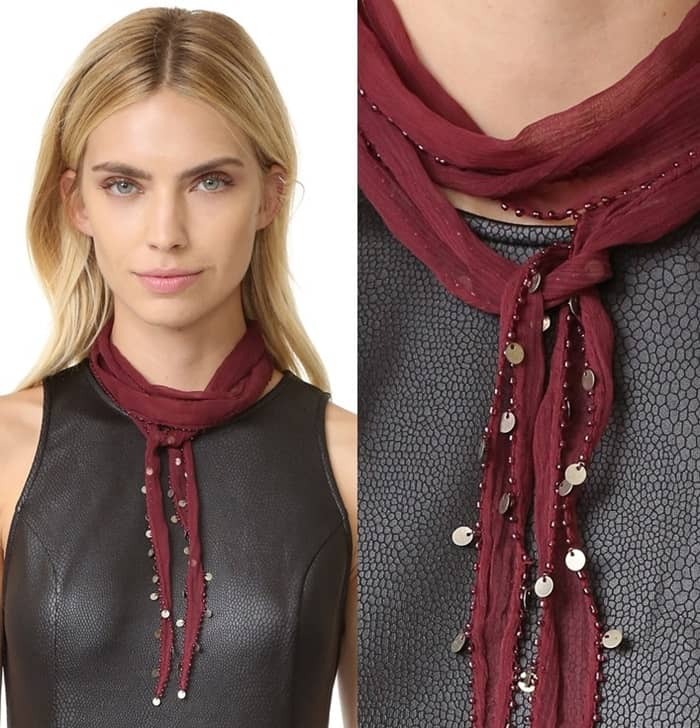 Try tying your scarf chocker necklace loose or close to the neck. Knot it in the middle, or drape it on the sides. It’s a subtle trend, but can do wonders for an outfit. 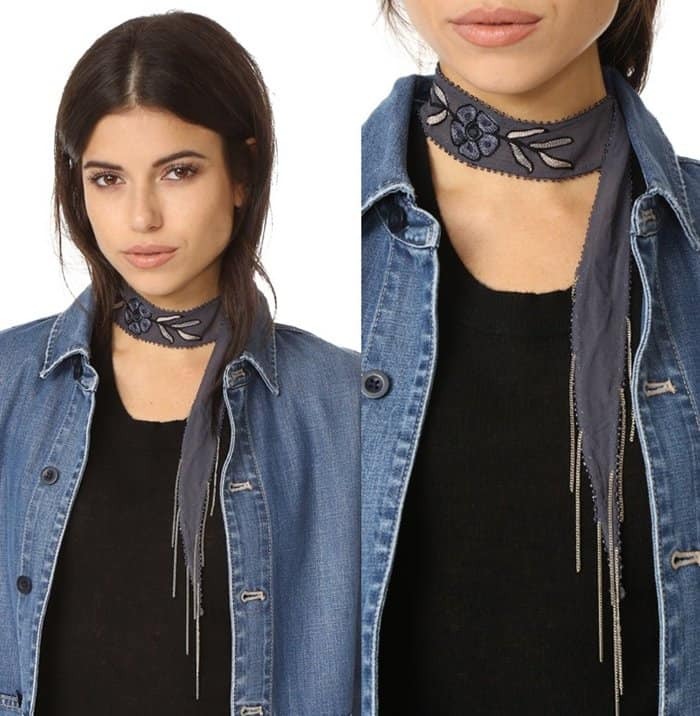 We found an LA-based brand called Chan Luu that creates gorgeous, elegantly handcrafted skinny scarves that will look great as choker necklaces. These finds are easy on the wallet too. You can find more Chan Luu skinny scarves on the brand’s website.